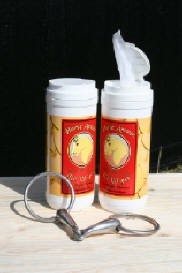 Horse Amour Peppermint Bit Wipes are an original equestrian product, circa 2004. Bit Wipes were created as a solution to the problem of proper bit care in a large lesson barn. As you can see by our website we are a full time operating lesson stable and boarding barn, not a commercial manufacturer. 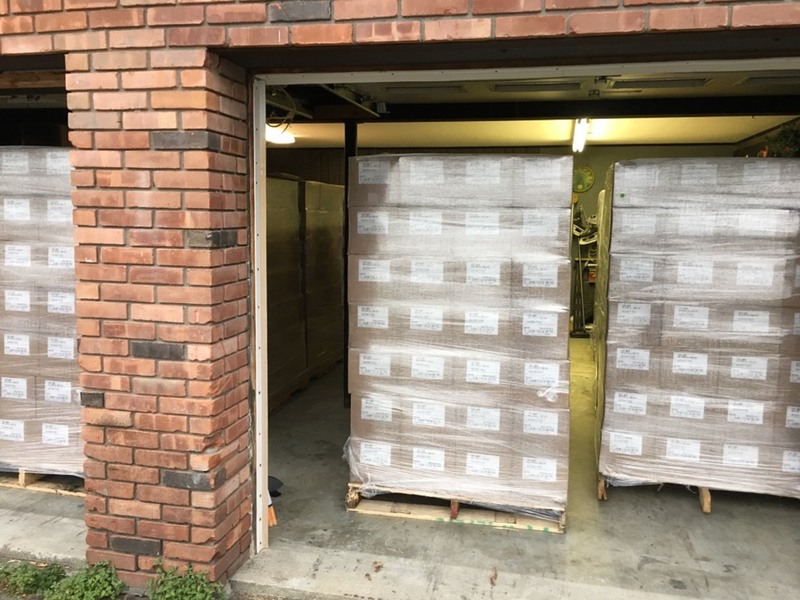 Although the finished product is assembled for us in Iowa, our Bit Wipes are handled personally in the basement of our house after chores each day, and shipped to retailers accross the country and to Canada. 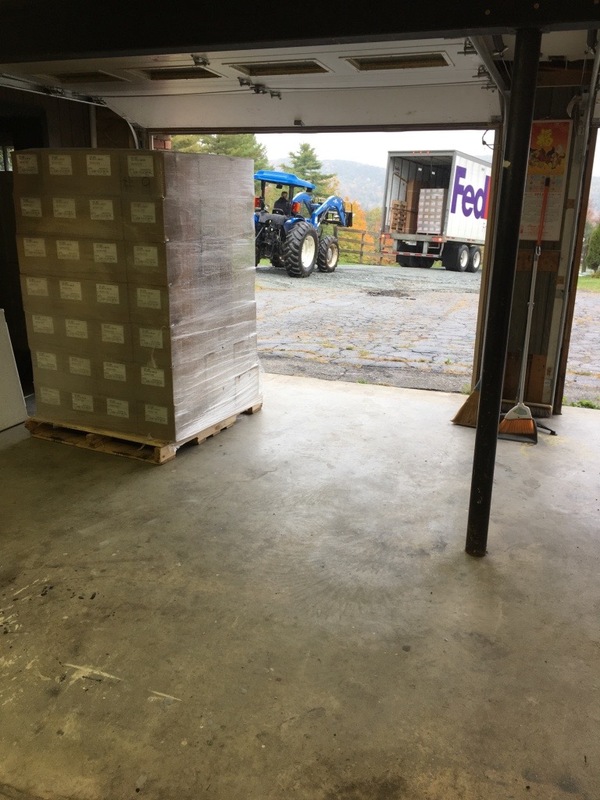 Unloading our Bit Wipes at Horse Amour. 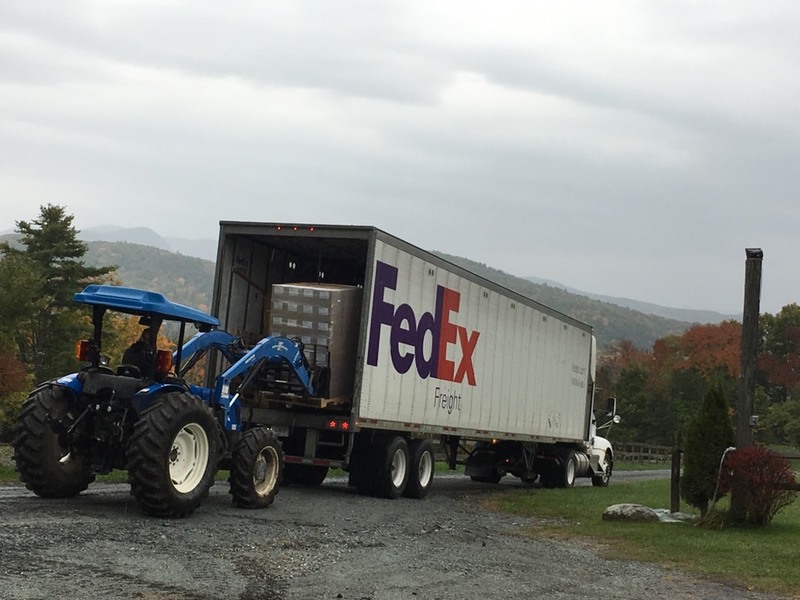 Manufactured in the Midwest, but sold case by case out of our home in Vermont. Since the addition of Bit Wipes in our barn, we have had great success with our horses taking the bit more readily and our students have an easy and fun way to take proper care of bits without the damaging effects of water on the bridle leather. Young horses who have been bitted from the start with regular use of Bit Wipes have quickly learned to reach for their bits, since they taste good! The wipes are also so gentle and refreshing that they are great for wiping around the muzzle and dock area as well, and for dirty hands and faces of riders. Peppermint is clean, fresh, 100% natural and has many health benefits attributed to it; from calming qualities for mental health to digestive benefits. With the 2007 addition of Golden Delicious Apple Bit Wipes, there is now a flavor alternative. 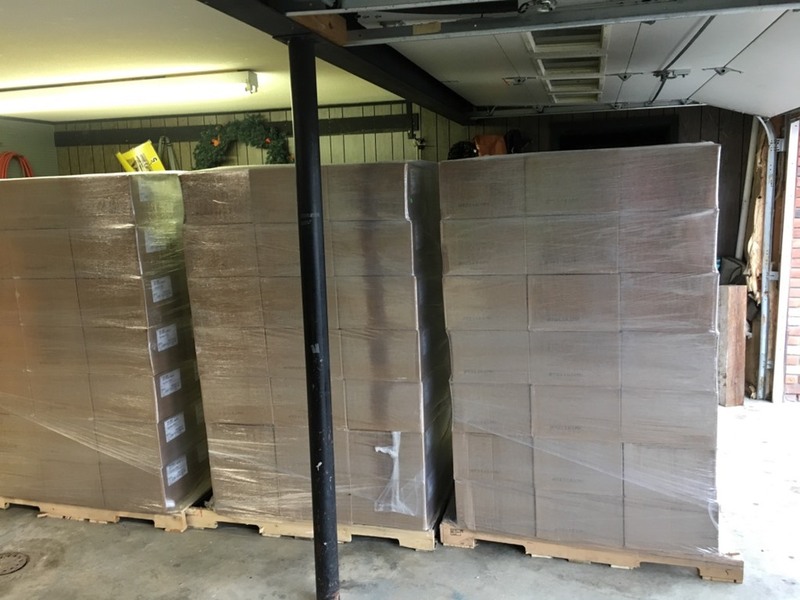 This is a shipment of Bit Wipes, packed up and ready to ship to our major distributor English Riding Supply. Reducing the resistance of the bitting process has enhanced the horse/rider relationship in our barn and it can do the same in yours! A horse who looks forward to taking his bit is truly a pleasure, and is going to be more relaxed, leading to a softer contact and connection with the rider. The basement of our split level ranch is the warehouse! 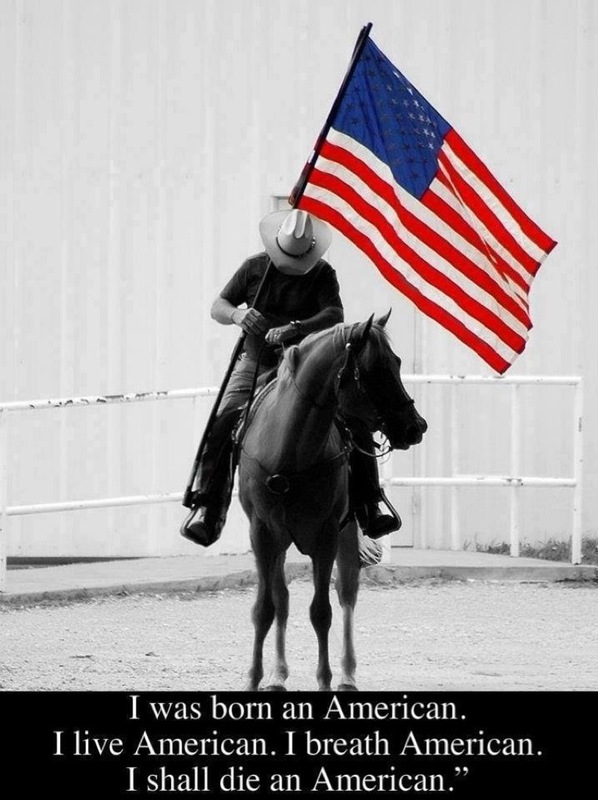 I carry a canister in my truck to wipe the fuel from my hands at the service station, to clean hands after the drive-thru or concession at a horse show, to give a show ring shine to my horse’s muzzle and nostrils when ringside, or to do a last minute touch up to boots or stirrup irons. The wonderful natural scent of peppermint evaporates entirely, leaving only a fresh tingle and clean feeling behind. I can’t be at a horse show without my Bit Wipes! I’ve been laughed at a few times for carrying my bit wipes into the porto-potty at a horse show, but on a 90 degree day, trust me they are refreshing! This is my basement from the inside. 1/2 full of Bit Wipes, 7 pallets worth. Only triple distilled gourmet peppermint extract is used to flavor Horse Amour Peppermint Bit Wipes; the same peppermint used to flavor ice cream and candy. All ingredients are human-grade, not animal. The wipe itself is of the highest quality; they will not tear or leave fiber behind. There are 40 5 x 7” wipes in each canister. The canister is perfectly portable in any brush box, and is completely recyclable. All ingredients and parts are 100% MADE IN THE USA. And the basement from the outside. Full with 14 pallets of Bit Wipes! 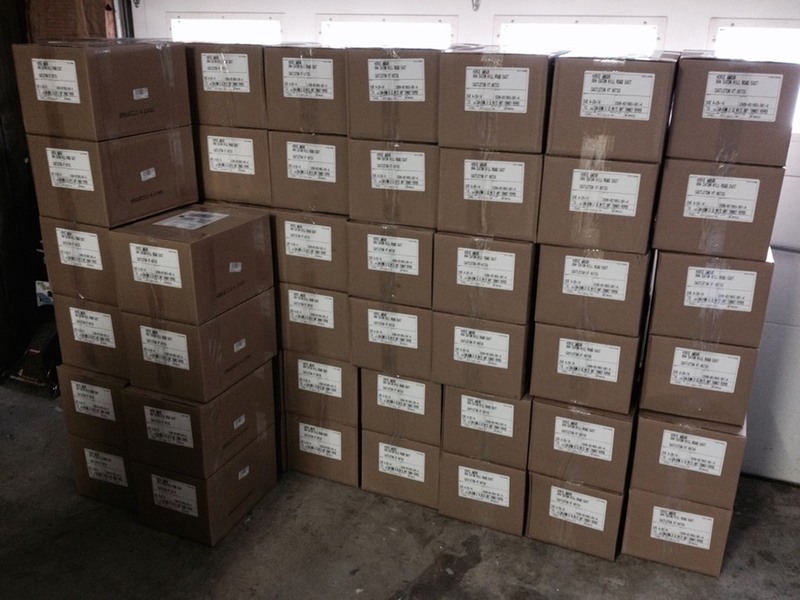 Bit Wipes are available at finer tack shops everywhere, and in all of the major equine retail catalogs. Horse Amour sells only to authorized retailers— if that is you, give us a call or send an email requesting dealer information.